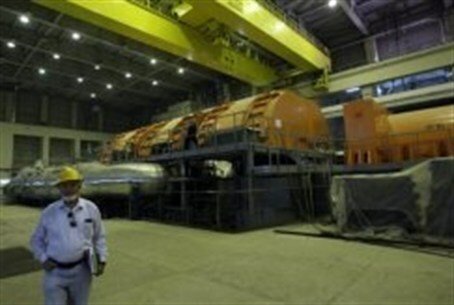 The Majlis would direct Iran’s nuclear agency to enrich uranium to 60%, if US Congress adopts new sanctions legislation. More than two-thirds of Iran's parliament has signed on to a bill that would accelerate Iran’s nuclear program if the US Congress adopts new sanctions legislation, official news agencies said. The bill would direct Iran’s nuclear agency to enrich uranium to 60%, close to the 90% needed for the material to be used as nuclear bomb fuel, writes the Los Angeles Times. It is currently enriched to a maximum of 20%. The legislation also calls for the start-up of Iran’s partially built Arak heavy-water nuclear reactor. The Mehr news agency said Sunday that support for the measure in parliament has risen from 100 lawmakers last week to more than 200. To turn into law, the proposal would still need approval from the parliament’s governing board. Iranian lawmakers have described the bill as retaliation for legislation introduced in the Senate this month that would impose tough new sanctions on Iran in six months if it fails to cooperate with upcoming international negotiations aimed at setting limits for its nuclear program. The Iranian bill was previously decribed as retaliation for the Obama administration’s recent blacklisting of a group of Iranian organizations and individuals. Also Sunday, senior Iranian nuclear negotiator Abbas Araqchi stated that Iran would stop cooperating with the preliminary nuclear deal if any sanctions legislation is adopted by Congress. “Implementation of the Geneva deal will be stopped, no doubt,” Araqchi said, according to the Iranian Student News Agency. An advisor to Iran's “Supreme Leader,” Ayatollah Ali Khamenei, said Sunday that the US has no option but to honor its obligations under the recent Geneva nuclear deal. Velayati said Iran would not accept any deal which would entail giving up the use of nuclear energy.